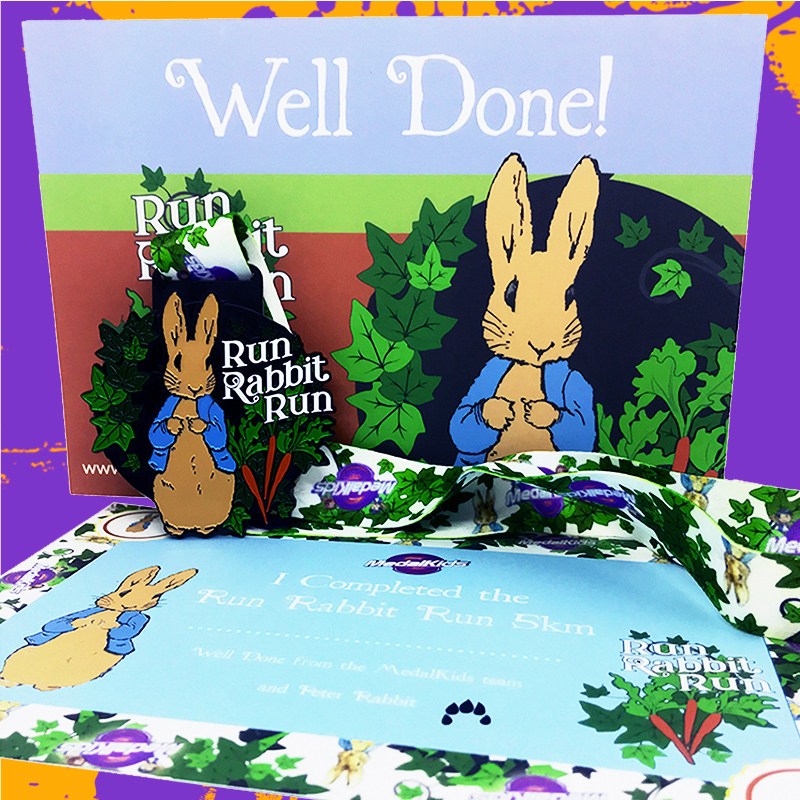 Welcome to our Run Rabbit Run 5km, starring Peter Rabbit himself. We are delighted to have been given permission for us to use Peter Rabbit in a MedalKids medal. This is an ongoing challenge and medals are ready to go once you have sent in your evidence. You can run, walk, ride or hop this challenge. This challenge may be a MedalKids challenge but it is open to the young at heart as well. Use the MedalMad app to track your progress and the distance can be broken down into sections. Good luck! MedalKids challenges are live if in stock, so medals are on their way as soon as the challenge is completed. Registration Closes on the 06th June.